Cutting into a cake is a pretty exciting experience on its own. Could you imagine then, cutting into what you think is a regular carrot cake and discovering carrot shaped and coloured sponge inside? Or slicing through the gorgeous icing only to discover a multi-coloured checkerboard inside? That would be pretty awesome, and only increases the cake eating experience by at least a zillion. This is also the way that Sydney cake decorator, Candice Clayton feels about cake. Candice has lovingly poured every skill and trick she’s learned about novelty cake baking and decorating into her first book, Surprise Cakes and Cupcakes, so you can try your own at home. Inside this book is 50 of her most favourite children’s and adult’s recipes with special surprises inside that would make Marie Antoinette proud. Just think, a fairy’s house cake covered in leaves that has in fact been secretly filled with lollies and sweets! Or a desert island cake which has actually been stuffed with chocolate gold coins! There’s even cakes with NAMES inside. With mouth-watering photographs to accompany each recipe, step-by-step instructions, recipes to suit all levels of difficulty, and special decorating techniques, this book really takes the cake on baking the best surprise cakes! Because who says one has to wait for a special occasion to eat cake? Written by Sydney cake decorator and owner of Fairy Cake Mother novelty cake business, Candice Clayton. 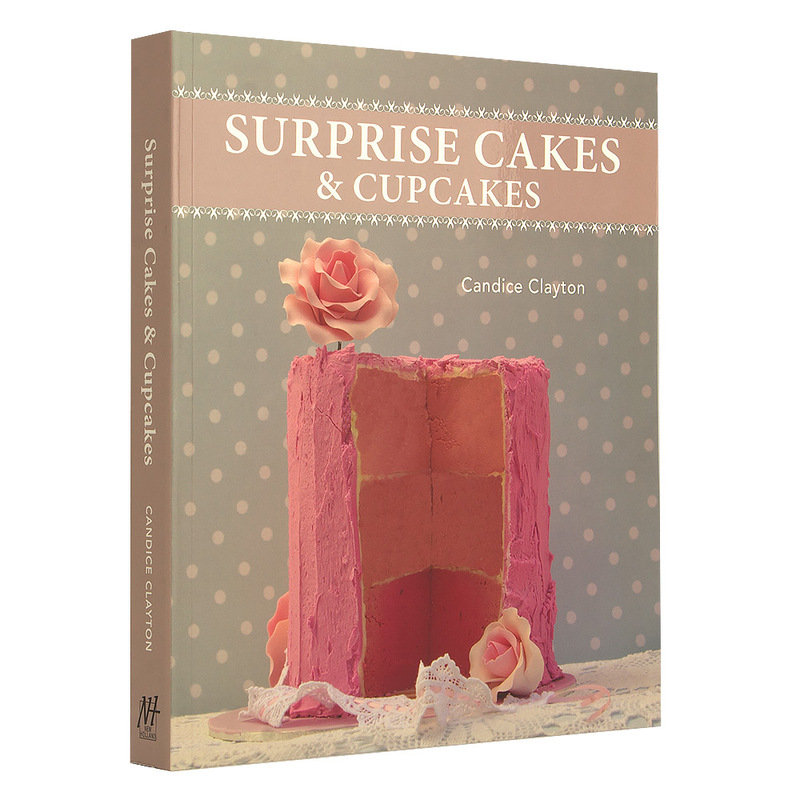 Filled with 50 of Candice’s favourite surprise cake and cupcake recipes for both children and adults. Step-by-step instructions and specialty ingredient lists. Includes techniques, tips and tricks to make the decorating process easier. Beautiful, full page colour photographs to accompany every recipe.